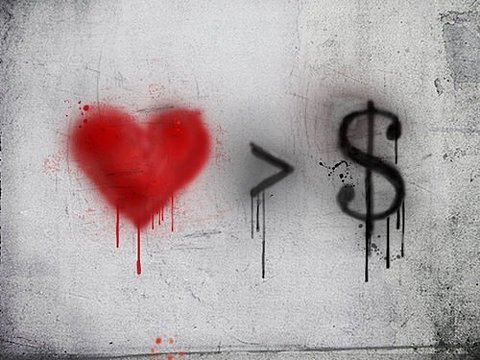 Money: in terms of social change, it’s both ‘beauty and the beast’ When is civil society a force for social transformation? Credit: http://www.rebellesociety.com. All rights reserved. Why are discussions about poverty so often held in luxurious surroundings? Perhaps it’s easier to think that way, without any poor people in the room to muddy the proceedings. Think Bellagio, for example, the Rockefeller Foundation’s villa on Lake Como, or Pocantico Hills in upstate New York (another Rockefeller bequest), or Schloss Leopoldskron, the baroque palace that houses the Salzburg Global Seminars where I found myself last week. The subject of the seminar was “value(s) for money,” a play on words that was designed to question the current fascination with ‘cost-effective impact’ in the worlds of philanthropy and foreign aid. Instead of obsessing over narrow and subjective ‘value for money’ calculations, the organizers wanted to interrogate the values that are perpetuated by those who finance social change: things like equality of opportunity versus equality of outcomes, or democracy as opposed to decision-making by elites. Read more….